When you mention the word "spinach" it can remove the happy smile from many a face. But it can taste really great if you cook it the right way. Like in this recipe where I put it inside an omelette. This is a dish that I eat for breakfast. It satiates for a long time. Though I am sure that the big piece of fish helped somewhat too. Clean the spinach well to remove any dirt, if you do not use frozen. 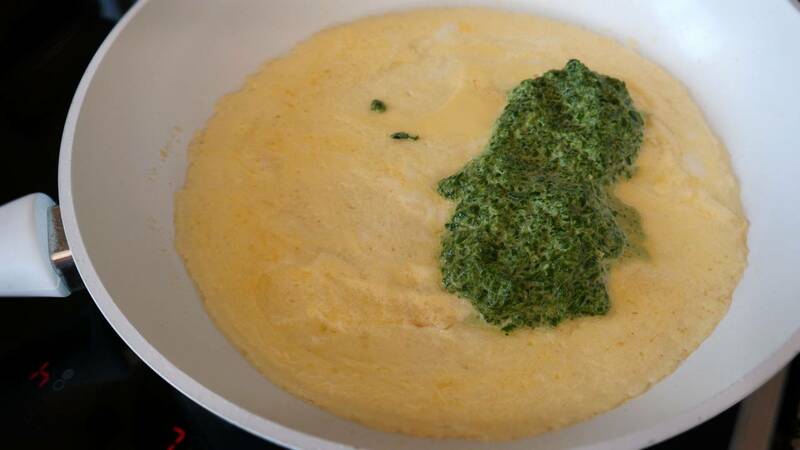 Put the cream and spinach into a small saucepan. 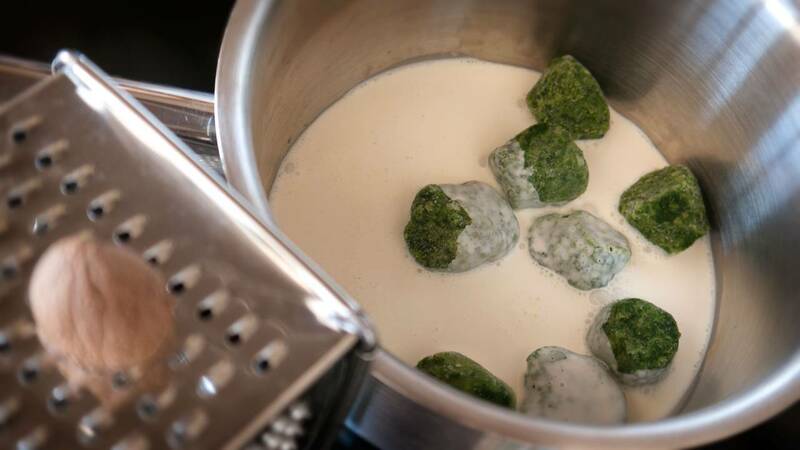 Let it simmer on medium temperature until the cream is cooked away so much that it has become homogeneous mass where the cream does not run away from spinach. Put 1 egg and 1 tablespoon of cream into a shaker and shake well. Or whip it together in a small bowl. Heat a pan and add 1 tablespoon butter. Pour the egg mixture in and cook gently until you can see that the side facing up is solid. It should not be fried on both sides. 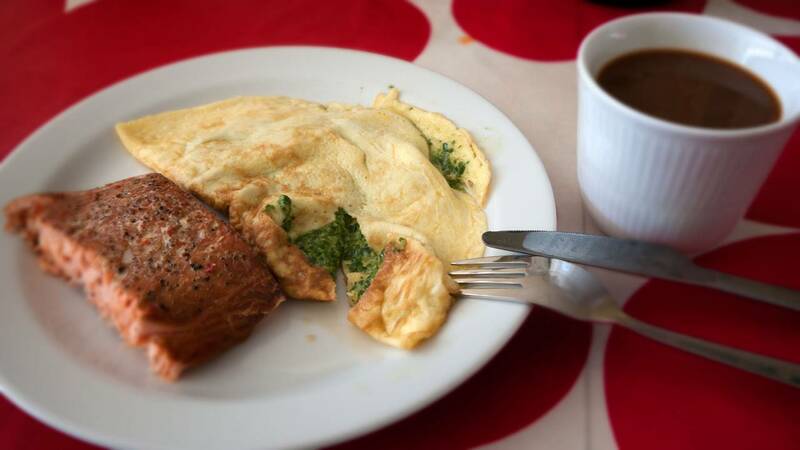 Put 1/4 of the spinach on one half of the omelette so that there is plenty of space around the edges. Use a spatula and fold the empty half over the filling. Fry for a minute or two more on one side only and pour it gently onto a plate.